Yesterday, I wrote about the importance of balance in Ayurveda. Today, I want to continue with balance. 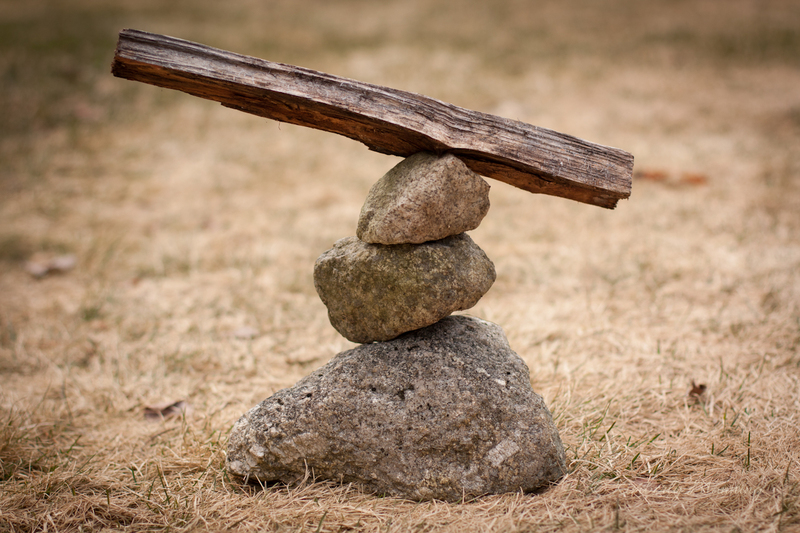 In my opinion, maintaining balance in your life is both very difficult and very important. It is difficult because we are constantly bombarded by conflicting demands and desires. Work and family compete for our time and energy. Add into that mix, the need to exercise and enjoy your own personal time and hobbies. There are so many things that we must choose between every day and it is not easy. However, it is important to balance needs and wants with demands on our time so that we can be healthy and happy. For instance, if you eat chocolate cake every day, all day. You may be really happy but you will not be healthy nor will you feel well. On the other hand, if you never allow yourself that chocolate cake (or any other treat), you are depriving yourself of that enjoyment and that is not living either. Neither extreme is good for you for long periods of time. Working too much is also not good. We all need some play time. You get the drift. What I have noticed about reaching a balance, especially when a change is occurring, is that sometimes you must aim or go to the opposite extreme to reach the middle. I call this the Extreme Swing. Like a swing, if you are starting at one extreme you will naturally swing to the other extreme before landing in the center. I have some examples. Think Footloose. The preacher’s daughter is the wildest child out there, rebelling against her uber-conservative and over-bearing upbringing. At the end of the movie, she lands somewhere in the middle. In my life I have done this swing many times. Sometimes they are big, noticeable swings and sometimes they are little swings that only I notice. They can be swings in beliefs, behaviors, ideas, actions, etc. It is okay to swing to the extreme. Sometimes we need to for awhile. But it is best when we swing back to the middle and learn to balance theses extremes. We can’t spend out entire lives working without play, playing without taking care of business, etc. There is no happiness without sadness, no good without bad. It’s all about balance. So notice your extremes. Be mindful of them. Are you out of balance? Were you at one extreme and now reside at the opposite end of that extreme swing? But no matter what you do, always honor your journey.